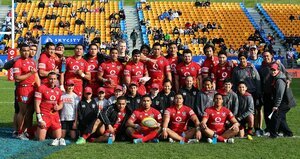 With no restrictions on the U20 jersey CCC produced a completely new design. 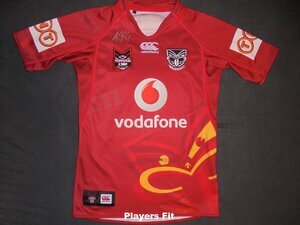 The home jersey was red with a multi-coloured Warriors logo and 12 in Roman numerals on it. OFFICIAL REPLICA - Wasnt a popular design and the jerseys were still for sale 2 years after the jerseys were released. Hardly see any for sale online and any that do dont go for much. 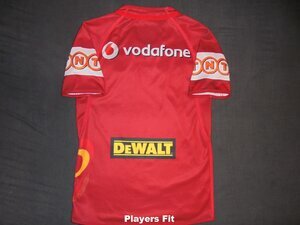 PLAYERS JERSEY - Same as the official replica but tapered and with a white number on the back. Number had small pin holes on it all over. Assuming that was to improve the breathability of the jersey.